We land, we cruise the city for less than 24 hours to see all we can, and head back to the airport. This is how I usually handle conferences back in the states, but usually in less than 12 hours. 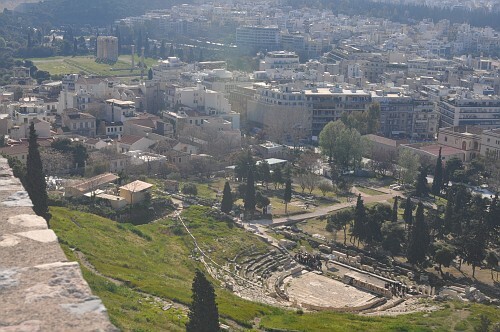 All the books we read gave us a “Athens in 24 hours” synopsis, so we figured we would tackle the city that way. All in all, besides not having a chance to check out any of the Greek Isles, I think 24 hours was just enough to see everything that we wanted to see. We traveled on Royal Jordanian, which was pretty nice. Again, the quote from Jerry Maguire runs true. “First class isn’t just a better seat, it’s a better life.” It is pretty amazing how much better they treat you in First/Business class on international flights, and it has spoiled us on this trip. We are not taking this for granted as we will probably never travel like this again. A big thanks to American airlines for giving me a ridiculous amount of miles over a 5 year period that allowed us to do this trip in the first place. Anyway, we land into Athens and find out the Metro downtown is….under construction! Just about everything is under construction around the world, but what can you do. So we hop a taxi downtown to the hotel, which is the only way, so it seems they have taken advantage and beefed up the prices a bit. 35 Euros to get to the hotel, which is around $45, even though the meter said only 18?? Add a couple bucks for tolls, airport pick up, luggage, keys to drive the car, having an actual person driving the car, windows and doors on the car, and the list goes on. 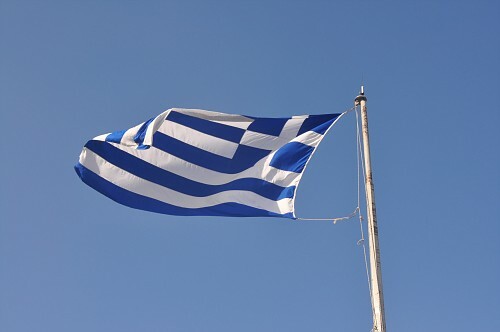 Dear Athens, get your metro back up and running! 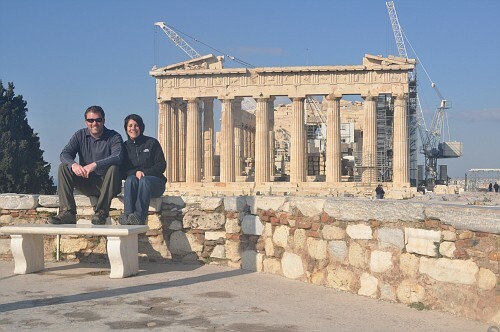 We hit the hotel, in which we had a room that gave us a view of the Acropolis, which is…what else…under construction! It’s been under construction for 6 years, and doesn’t look like it will be finished anytime soon, even though the signs say it will be done by late 2010. We saw one guy working on a piece that will probably take him a year alone to perfect…ya, 2010, not happening Athens. While we were up at the Parthenon, we ran into 6 girls who were on their Spring Break…from Middlebury College in CT. What? We spent our spring break in Cancun or Negril, Jamaica. These girls were living high style in Florence, Italy and Athens, Greece. How times have changed a bit since I graduated 10 years ago. not bad for using our tiny tripod, eh? I fired off as many pictures as I could right here as I could see the swarm of people coming near us. I think a couple came out OK, and are only marred by the construction. I think a little photo shop might be in the future of these pictures. 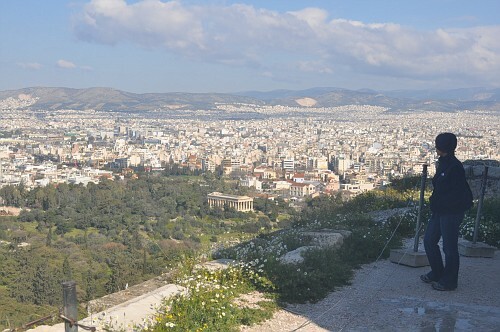 You can see almost off of Athens from the Acropolis, and the city is actually pretty hilly, and very WHITE! Every building is white in someway, and probably has a white roof as well. Safe to say the city does not have that much character color-wise, but it can’t win at everything. You can see the ocean from this point as well, and some of the Greek Isles in the distance. From this vantage point alone, I can see why people like this area of the world, especially for the isles. We saw this early since we had to check out of the hotel and get back to the airport for our flight to Budapest. We had to check our email one more time, but the hotel didn’t have a live connection working, so I walked around the hotel until I could hook up to a free Internet connection, and…….I found one. It was pretty faint, but enough to download all of our emails and give me the best directions from the Budapest airport to downtown…which of course I screwed up anyway once we got there.